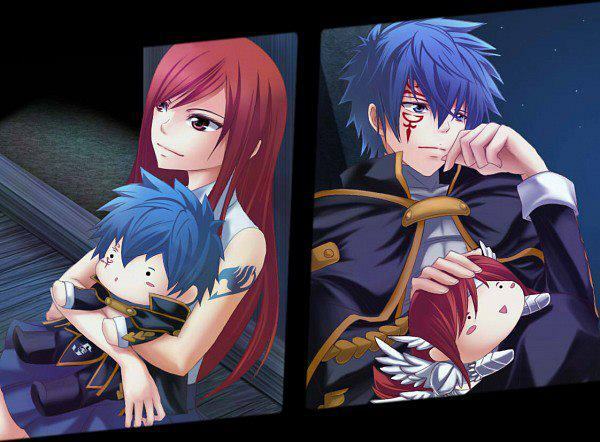 Jellal & Erza ♥. . Wallpaper and background images in the fairy tail club tagged: jellal erza jerza. cuuuuuuuuuuuuute!!!!!!!! X3 I want those plushies too!! !